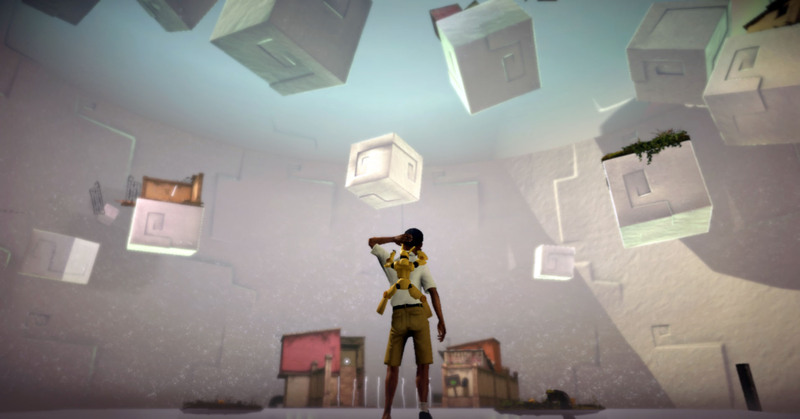 Papo & Yo is the story of a young boy, Quico, and his best friend, Monster. Monster is a huge beast with razor-sharp teeth, but that doesn’t scare Quico away from playing with him. That said, Monster does have a very dangerous problem: an addiction to poisonous frogs. The minute he sees one hop by, he’ll scarf it down and fly into a violent, frog-induced rage where no one, including Quico, is safe. And yet, Quico loves his Monster and wants to save him. As Quico, players will build their friendship with Monster by solving puzzles together and adventuring through a magical, surrealist world. Players will need to learn to use Monster’s emotions, both good and bad, to their advantage if they want to complete their search for a cure and save their pal.